This past Friday, Unite, a Belgium Tripel Pink Boots Brew created by the OC Pink Boots Society Chapter was released at Anaheim Brewery. Brewed in collaboration with several OC Pink Boots Society members, the beer was brewed to celebrate International Women's Day. A portion of the proceeds from the beer will go to the Pink Boots Society as well as a local non-profit the Orange County Family Justice Center Foundation. 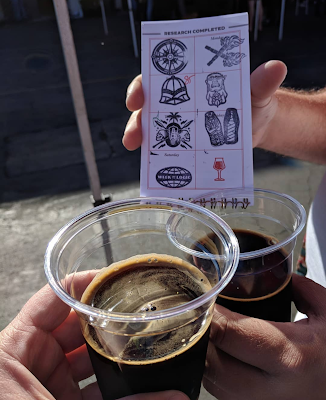 For this year's Pink Boots Brew beer, members were able to select any style of beer, and were encouraged to use a new custom Pink Boots Blend of hops created specifically for the Pink Boots Society by YCH Hops. I think it is so rad that a special blend of hops was created specifically for the Pink Boots Society. A portion of the proceeds from the sales of the special Pink Boots Blend of hops will be donated to the scholarship funds of the Pink Boots Society. For those unfamiliar with the Pink Boots Society, it is an organization for women who are either currently employed in the beer industry or who have had at least 15 years of experience prior to returning as well as women who are in the process of opening a brewery, brew pub, taproom, or other beer establishment along with women who are enrolled in a beer education program. The Pink Boots Society helps women by having a professional association that offers both a means for collaboration as well as education. The Pink Boots Society offers scholarships to help women brewers further their knowledge and expertise in the beer industry. For this year's Pink Boots Brew, women from around the United States and world at over 230 (!!) 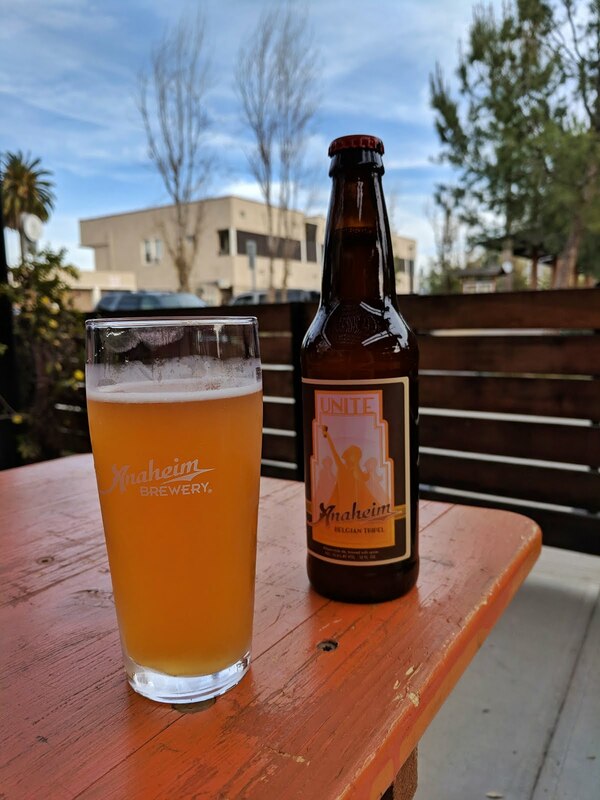 breweries collaborated to brew a beer on or around March 8th, International Women's Day. It's so amazing to see women brewing beer together as well as enjoying the final product of their work for the Pink Boots Brew. 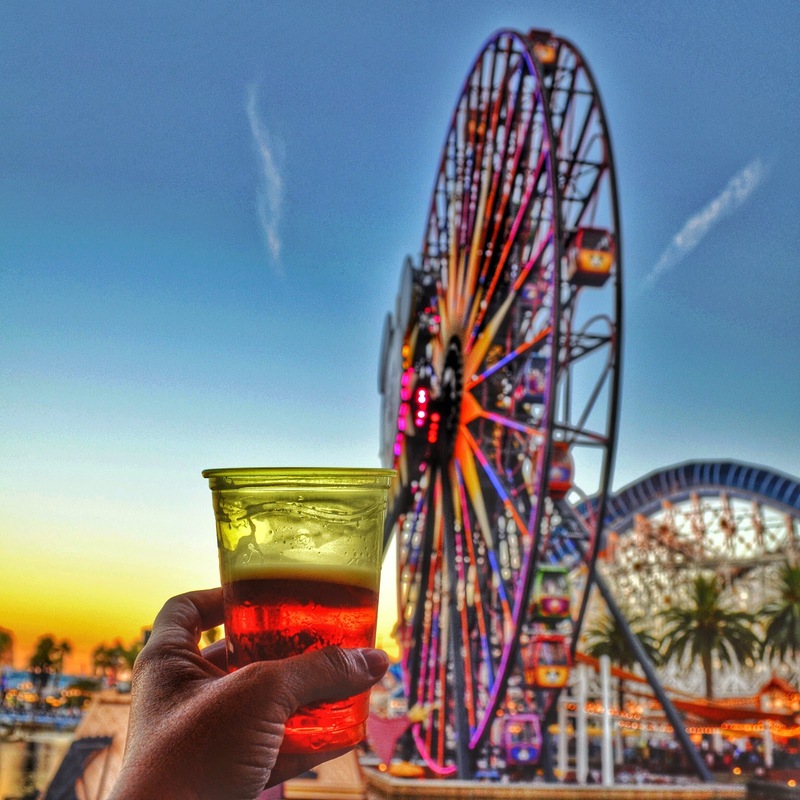 While drinking inside Disneyland is limited to visits to the exclusive Club 33, it's neighbor Disney California Adventure has several options for partaking in tasty adult beverages. From outdoor carts, a bar with amazing sunset views, to a swanky lounge, there is something to suit nearly everyone's tastes. My personal favorites are Carthay Circle Lounge, the Cove Bar and Sonoma Terrace. Carthay Circle Lounge is a great place to hide away for a bit to either avoid the summer-time heat or crowds. It is dark, quiet, and has several areas for both large and small groups to enjoy snacks and drinks. 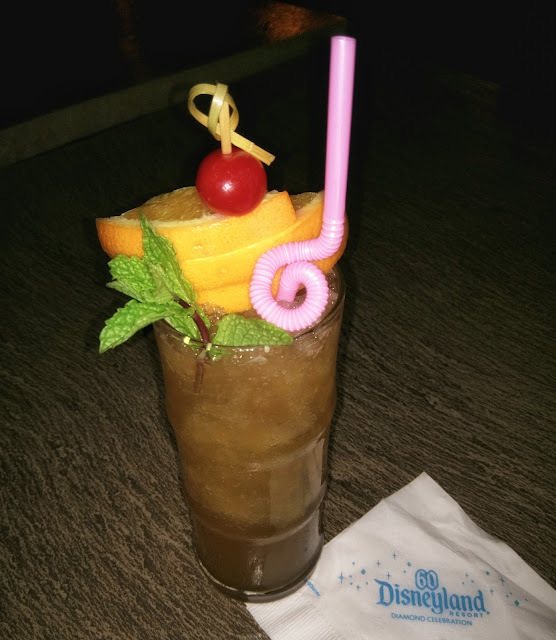 Since the Cove Bar is going to be rethemed as the Lamplight Lounge, in conjunction with the transformation of Paradise Pier into Pixar Pier, it will be interesting to see what changes will be made to this fan-favorite bar. The Sonoma Terrace focuses more on bottled beers and is usually far less crowded than both Carthay Circle Lounge and the Cove Bar. 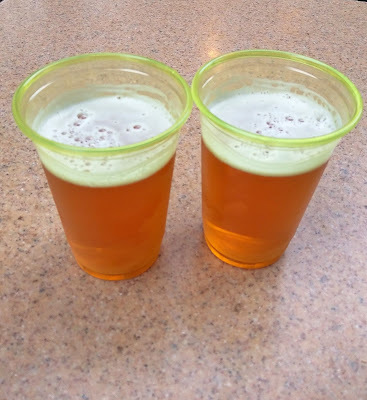 The majority of all of the bars, lounges, and beer carts open at 11 a.m.. Flo's V8 Cafe is the exception to this, since they are open for breakfast. So, you can have a beer with your breakfast while enjoying the scenic views of Radiator Racer Springs. 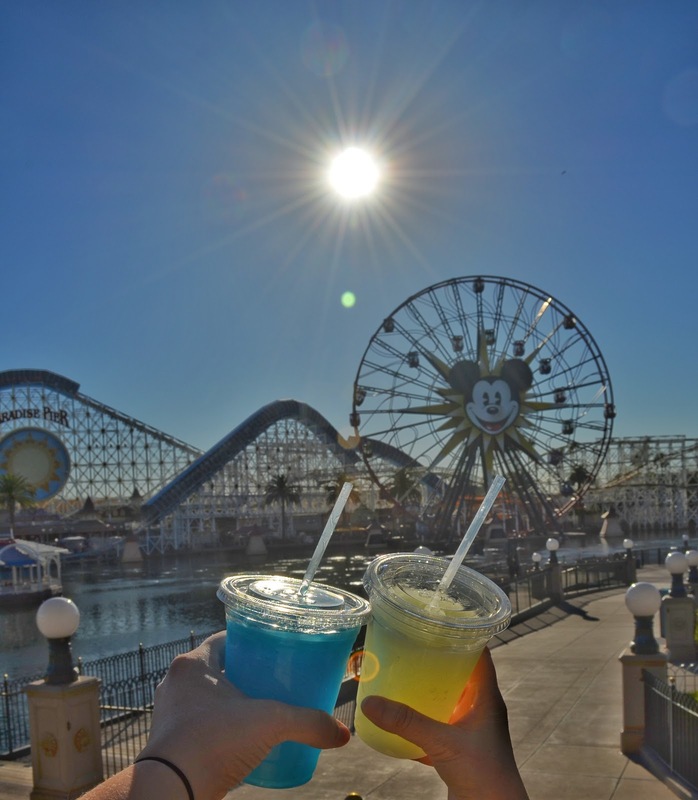 Not only are there drinking establishments within the confines of Disney California Adventure, but there are also numerous options located in the on property hotels as well as various locations throughout Downtown Disney. One of my favorite places to visit is Trader Sam's Enchanted Tiki Bar, located in the Disneyland Hotel area. The drink menus at all of the bars both inside Disney California Adventure as well as the Disneyland Resort Hotels are generally the same. One of the exceptions, though, is Trader Sam's. Trader Sam's is a small, tropical indoor tiki bar. The decor is fantastic, there are so many small details that are easily overlooked. While sitting inside enjoying tiki drinks, it is easy to forget that you are surrounded by a massive hotel and two theme parks. 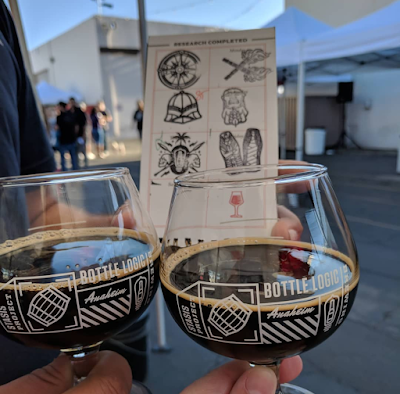 Four years ago, I first visited a new small brewery in Anaheim before they opened their tasting room, Bottle Logic Brewing. 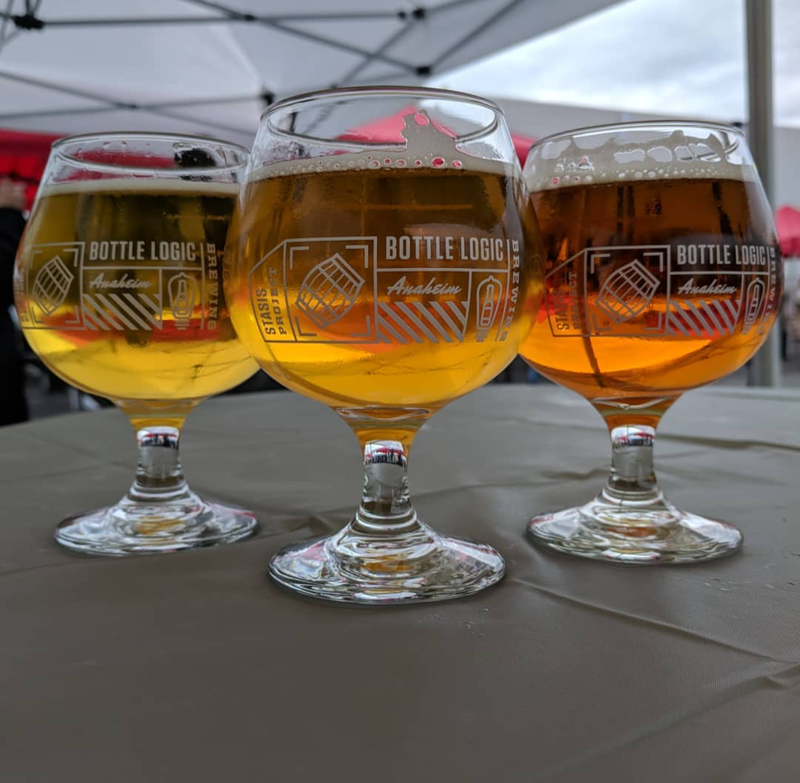 In four short years, Bottle Logic Brewing has curated a following of fans who adore their innovative beers. 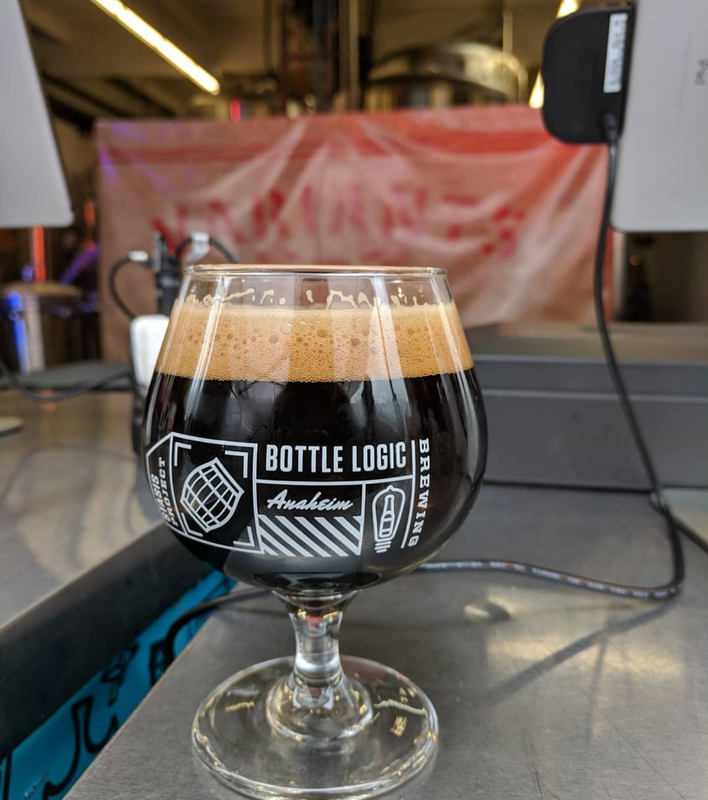 While many breweries have anniversary events to celebrate continual success, Bottle Logic Brewing has had a week-long event to celebrate their anniversary since 2015 when they debuted their first Week of Logic. Bottle Logic's Week of Logic is a fantastic way to afford the most fans to celebrate one of their favorite breweries. 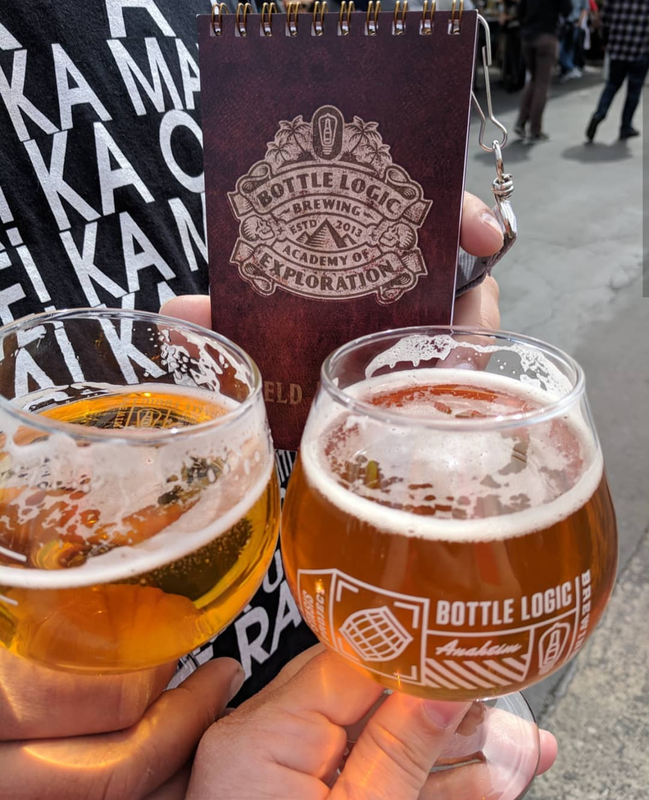 With seven days of festivities, more people are able to visit Bottle Logic and sample both unique, special release beers as well as core ones. 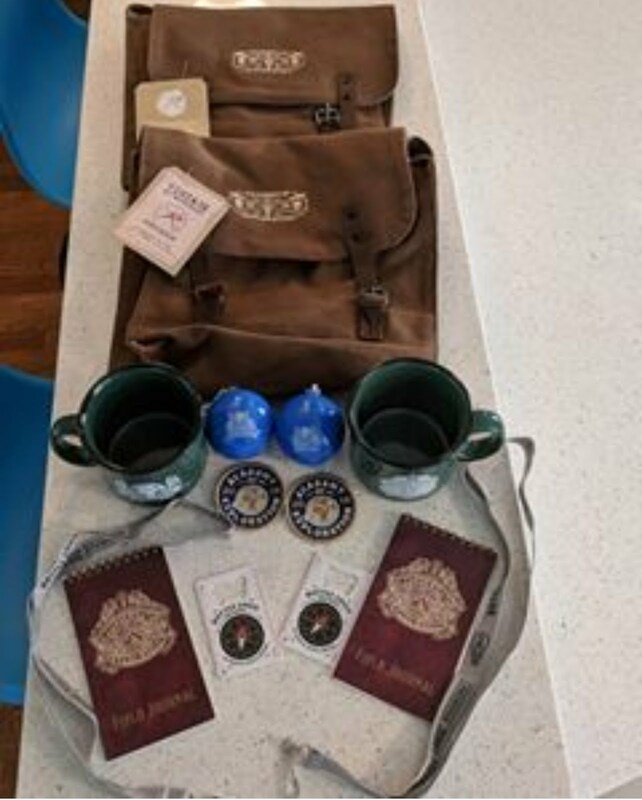 The Week of Logic not only rewards patrons with amazing beers to sample throughout the week, some of which change daily, but also with prizes on select days. 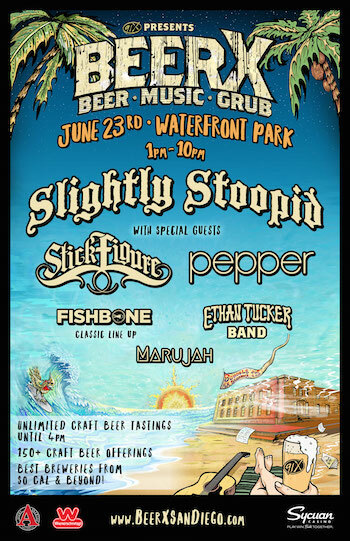 I think the most amazing part of the Week of Logic is that it is not a ticketed event. Anyone (21+ of course) is able to attend from one, up to seven days throughout the week. If you want to obtain many, or all of the coveted prizes, though, you must attend either 3, 5, or all 7 days of the Week of Logic. While this seems like an easy task, it can be quite daunting. First, you must obtain a Week of Logic booklet. 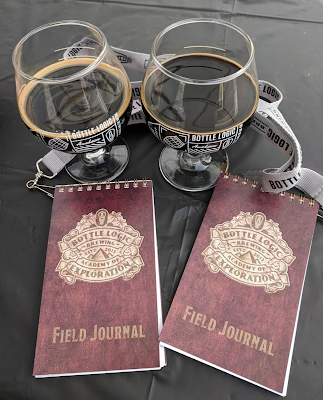 This year's theme was adventure, so the booklets were field journals. 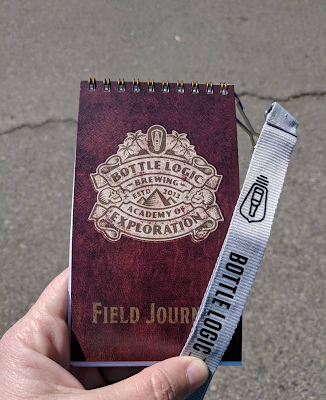 Many Bottle Logic fans lined up before the official release time to ensure that they were able to snag one of the field journals. I lucked out in that I walked up without a line later in the afternoon of the day that they were released on the Saturday before Week of Logic's kick-off. They actually still had field journals available on the second day. But, if you want to make sure that you are able to get a booklet to complete all of the days of the Week of Logic, it's highly recommended to get one on the first day that they are available. While I've always wanted to attend the Week of Logic, scheduling conflicts have prevented me from attending, up until this year. I've admired from afar my friends who have shared photos of the booklets they were issued from Bottle Logic and the stamps they would collect each day. I'm glad that I was able to finally attend the Week of Logic this year. The organization of the event was outstanding. You first entered the back parking area from near the front of Bottle Logic's tasting room. You had to have a valid id to enter, no exceptions. After you passed through the id check, there was an area to the left to purchase merchandise. On the right side was the area where you visited after you obtained the required stamps of either 3, 5, or 7 to receive the exclusive Week of Logic items. When you walked further into the back parking area, you could either go left or right. There were two stations on each side where a wide variety of core and limited release beers were being poured each day. The beers were organized into four stations; Stasis Project, Excavation Outpost, Constants, and Variants. Queue lines were taped on the ground in front of each of the four stations where beer was being poured which was a huge help for those trying to navigate the beer options. Each day, you presented your field journal to one of the employees when you purchased your beer. Since it rained during part of the event this year, there were already canopies in place and more were added for the day that it rained the most. Several tables were under the canopies which helped spread out the people who were enjoying their beers. Each day, different food trucks were on hand near the entrance to ensure that people had the option to eat while drinking, which was awesome since many of the beers are higher in ABV. Bottle Logic Brewing encouraged people to dress up themselves, as well as their dogs which was fun to watch throughout the week. Attending Bottle Logic Brewing's Week of Logic is quite a commitment if you want to attain all of the prizes that they offer for the various days. If you ever have the opportunity to attend one of Bottle Logic Brewing's Week of Logic, I highly recommend it. Just make sure to pace yourself, and keep your eye on the prizes.